This was more of a hard slog than I expected it to be going in. I'm intensely preoccupied with machine learning for a while now so this should have been catnip to me. Somehow though Bostrom's style kept turning me off. I would commit to reading a chapter, get somewhat into it after some pages, and then my mind would start to wander. I hardly ever had the spontaneous urge to continue reading after a break. So that's why this took me over four months to finish. On the upside though, the substance of the book is incredibly fascinating. 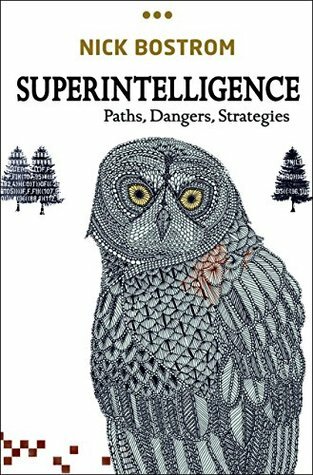 Bostrom is mostly interested in better understanding AI safety and ensuring beneficial outcomes for all of humanity when superintelligence inevitably arrives. It's an important subject with many fascinating philosophical implications. I'm sure this book has contributed to more serious considerations of the issues in the research field. But for popular appreciation of the same things, we will need a more engaging and accessible writer. Sign into Goodreads to see if any of your friends have read Superintelligence. I stopped reading after the first few chapters and have no intention to start again. Very much agree it could do with a rewrite (for which we should have a copyright exception).